There are not many people who know business more than Sir Richard Branson. Coming from a humble background, he has tasted success in almost all the industries. This post tries to become a motivation treat for our hospitality audience. Quotes from the legend himself. Here’s more about the legendary entrepreneur and the mantras of success by Sir Richard Branson for the hospitality professionals and everyone else. Richard Branson has also tasted immense success in the hospitality industry through his Virgin Airlines. However, not many are aware that he now is one of the richest hoteliers in the world as well with the launch of his Virgin Limited Edition. Virgin Limited Edition is Sir Richard Branson’s unique collection of Luxury Hotels and retreats. We have however kept him out of our list of rich hoteliers as the hotel industry is just one of the many industries he has mastered. Innovation in itself is fascinating. Leaders around the globe make the process of innovation inspirational. Richard Branson is one such leader. We welcome him in the hotel fraternity as he has launched his Virgin Limited Edition of classy retreats. We only expect to hear great news about this new entrant to the ever-growing hotel industry. He is a role model to several entrepreneurs. Richard Branson is a brand in himself and a legacy follows when he arrives on the big podium to communicate to industry stalwarts. Sir Richard Charles Nicholas Branson (born 18 July 1950) is an English businessman and entrepreneur. He is best known as the founder of Virgin Group, which comprises more than 400 companies. People who work with him believe in his charismatic leadership and make an effort to imitate him. All hoteliers must take a leaf out of his booklet to achieve success. He is set to surprise the hotel industry with a new style of hotels and retreats that he has developed which already has 7 amazing hotels and retreats. The numbers are set to grow. He loves dreaming big as he preaches through one of his mantras of success. Mantras of success by Sir Richard Branson includes real lessons to achieve extreme success and stay focused. Let’s begin with one of his famous quotes of customer service. We all know that customer service is the key to success in the hospitality industry. There are many more customer service quotes by great leaders in the article by Ameyo. At the age of sixteen, his first business venture was a magazine called Student.’ At the age of sixteen when most of us are not even sure as to in which college we would be applying for graduation, Richard Branson was all out in the heat exploring options for his first business venture. This is explained well in one of his famous quotes. One of his extremely famous quotes suites even more to the hospitality industry which is a labour intensive industry. He preaches compassion and huge respect for employees as has been mentioned through two of his famous quotes. 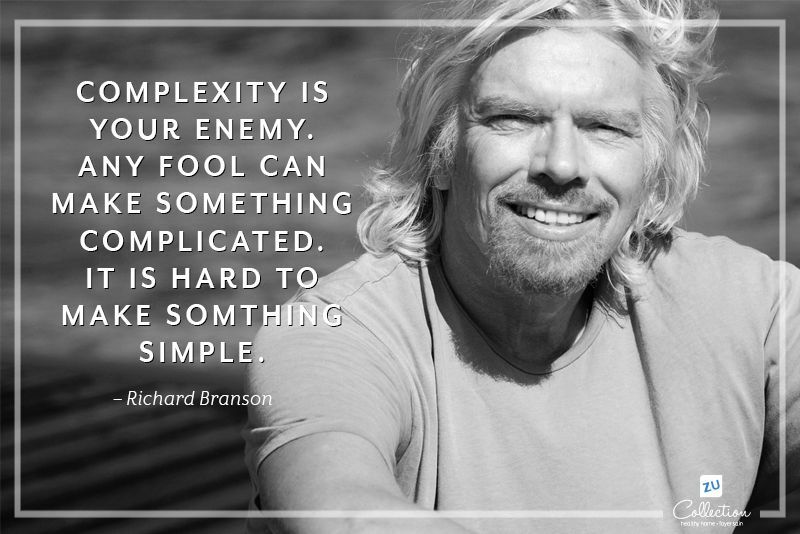 Sir Richard Branson advocates inculcating simplicity in everything that you do. This is very important for the hospitality industry. At times the hoteliers get rigid with the process. We need to keep things simple so that both employees and customer are happy always. The quote just mentions the same perfectly. 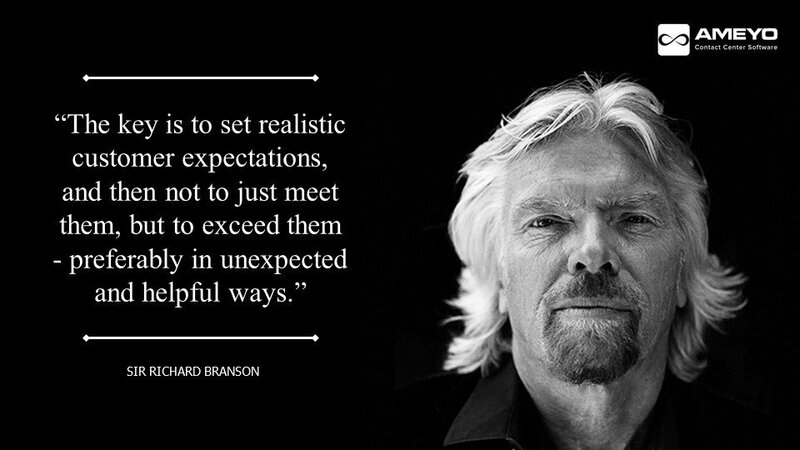 One of the most famous mantras of success by Sir Richard Branson is even more apt for the hospitality industry. It’s about grabbing every good opportunity without fear of failure and a willingness to learn. He says in one of his very famous quotes. Richard Branson was an innovator of his own kind and his mantras of success were perseverance, desire, setting unbelievable challenges and a continuous aim to fly high. He sold his Virgin Music CD company and started numerous ventures- Virgin Atlantic Airways, Virgin Trains, Virgin mobile, Virgin Galactic to name a few. There is one thing common in all innovators- ‘they are different’. Branson had even made a record in January 1991, when he crossed the Pacific from Japan to Arctic Canada, 6,700 miles, in a balloon. Read more about him on Forbes. Richard Branson has also released his autobiography in 1998, titled ‘Losing My Virginity’ which is an international best-seller. Sir Richard Branson has been known for all his humanitarian efforts which have crossed UK’s boundaries and his foundations have been helping the differently abled, deprived and destitute for many years now. His personality reflects in all his ventures. There are hundreds of instances when he has backed innovation for sustainability. His policies led Virgin Atlantic to use the phrase ‘We recycle exhaustively, especially our profits’. He innovates to create a difference and has created a culture of creativity and innovation in his team. The personality of Richard Branson reflects in the culture of the Virgin group which thrives even during challenging situations and strives to make a difference in the industry and society. 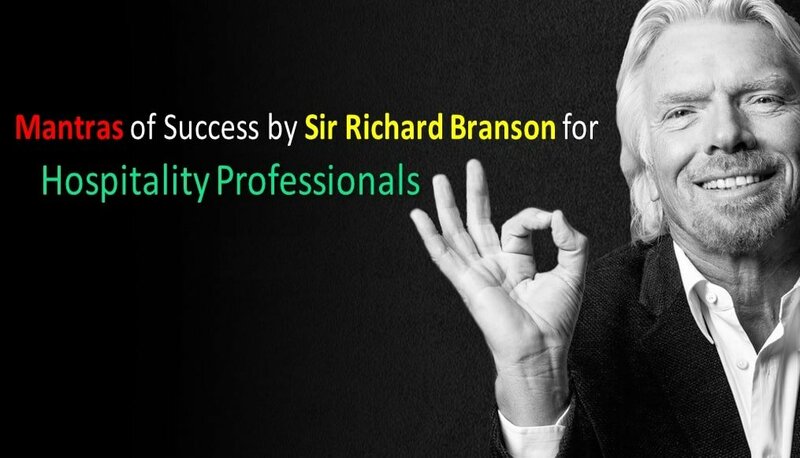 Branson is a true brand ambassador of innovation and creativity and has proved multiple times that nothing is impossible if we have the zeal and desire to achieve the goal we set in our lives. He is a role model for all upcoming entrepreneurs and self-employed youngsters. Hope the article was able to uplift the mood of the hospitality professionals. If you need more motivation, please also check out our other article on best hospitality industry quotes. Stay blessed!